Have you ever played a game which you started with the full expectation that you would be really good at it – a complete natural? That was Sudoku for me. Unfortunately I was far from a natural. I was pretty bad at it. Maybe I just lacked the patience required to think through all the numbers involved – which is weird because I am good at numbers and, I’m generally pretty patient. So I just moved on. To Blendoku. I was a little afraid I would just make a fool of myself again and cry in a corner but this game proved to be not as difficult, definitely fun and rather interesting. The objective is, as the name of the game suggests, blending. The game has several play modes – Simple, Medium, Hard and Master and a Winter mode (not sure if this is supposed to be harder or easier or what – I haven’t gone that far yet). 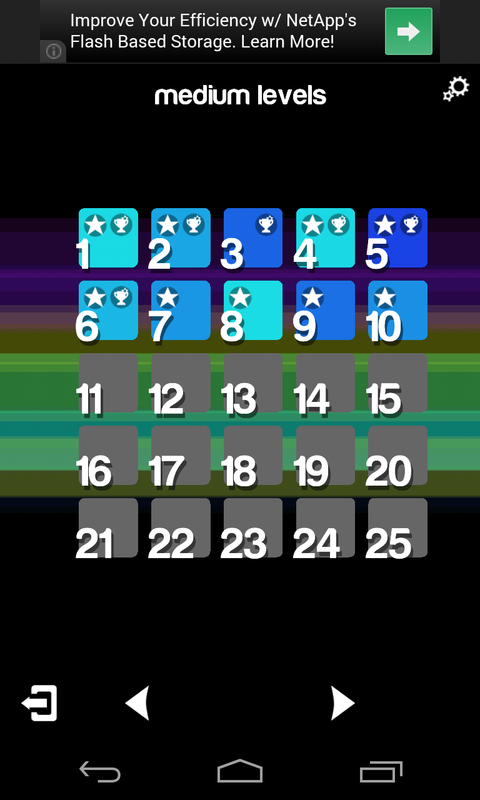 I’ve so far completed Simple with pretty much all perfect scores (no wrong moves) and at times lower than the world average. The game starts each level off with rows or columns of squares, most of them empty. One or two (or three and higher later on) would be completed for you, and the rest you would have to fill from your the list of colors available on that stage appropriate to blend from one color to the other. Thank god for screenshots because this feel like it’s really hard to explain. In order to get perfect scores, you must complete the level without making any wrong moves, that is, placing a square somewhere other than where it’s supposed to be. For someone trying to get that perfect score for all levels this can sometimes be a nuisance. It is all touch-based of course so sometimes you might find yourself placing a square not where you intended. Restarting is easy and simple if you are set on getting those perfect badges (which I was), also helps in beating the world average too, though I generally tend to feel more personal achievement if I get both badges my first try. 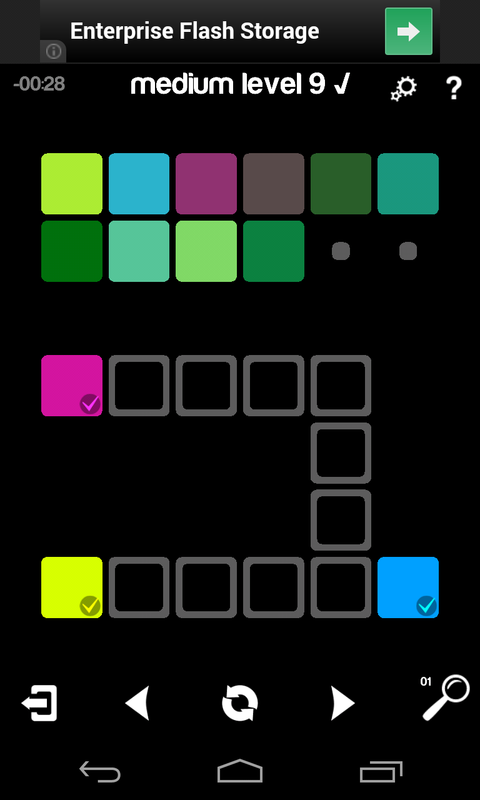 There’s 150 levels in the Simple difficulty and I imagine just as many in the others so Blendoku will definitely keep you occupied for a while. It doesn’t matter whether you are an artist or a musician or an architect this is definitely a fun game to have. Oh, it also has a colorblind mode for the few unfortunate. Definitely a game worth giving a shot, it’s free game by ‘Lonely Few’ with fairly unintrusive ads while being pretty original. Unless there is an original I don’t know about! Here’s a Play Store link for the game. Sounds like a game that I would enjoy. I’m also a fan of Sudoku and I like other puzzle games and color. I didn’t see a link in the article to the game at Google Play though.